NOTICE: This event has been rescheduled. 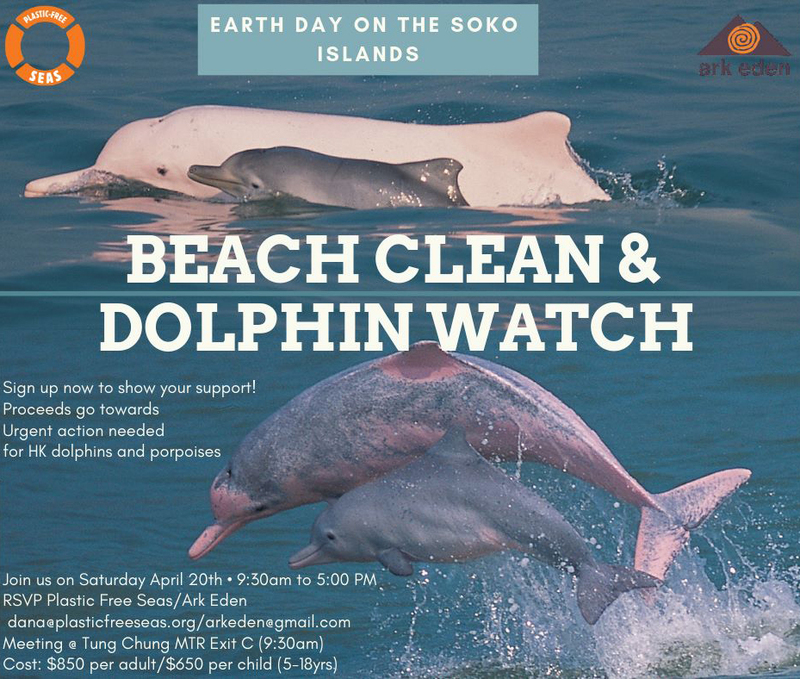 Plastic Free Seas and Ark Eden are teaming up for a fundraising adventure on the Dolphin Watch boat for an Earth Day celebration trip to the Soko Islands on the HK Dolphin Watch boat. 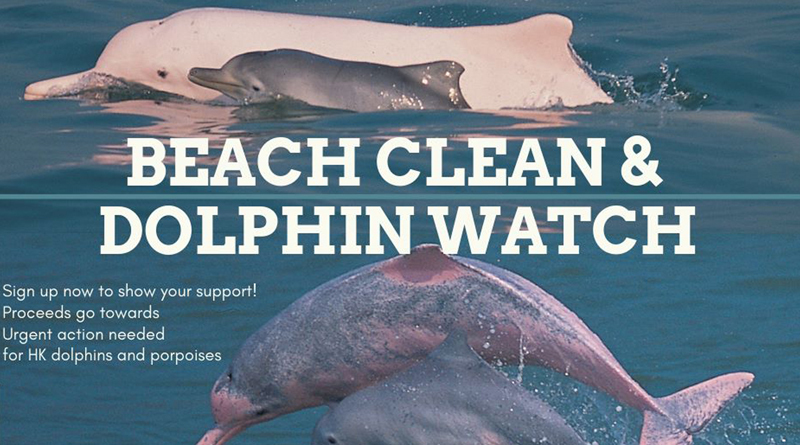 On the way we will look out for the beautiful pink dolphins, learn how the incinerator and the East Lantau Metropolis will affect the amazing dolphins and porpoises and have a fun and meaningful beach cleanup on one of the uninhabited Soko Islands. All funds raised will go towards helping endangered Chinese White Dolphins and Finless Porpoises in Hong Kong. Everyone is welcome … naturally.